Adidas just debuted its newest shoe -- which has a 3D-printed sole. 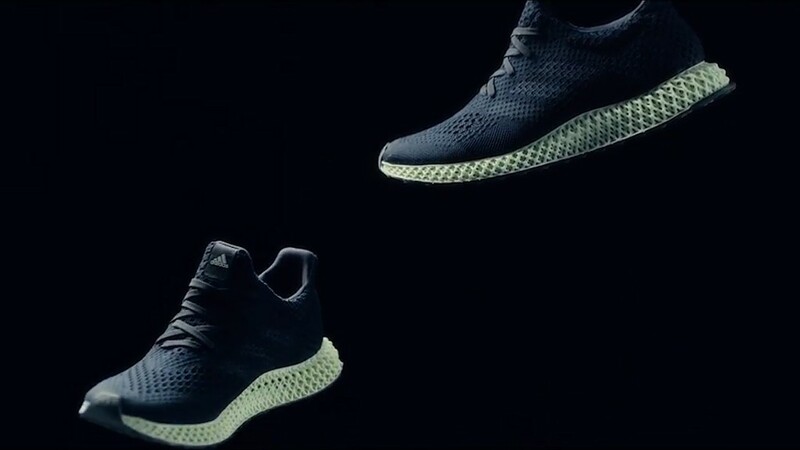 The German company said 5,000 of the "Futurecraft 4D" shoes will be available at retail stores in the fall and winter. It plans to start mass producing them next year and expects to have made more than 100,000 pairs by the end of 2018. The company would not disclose where the shoes will be manufactured. 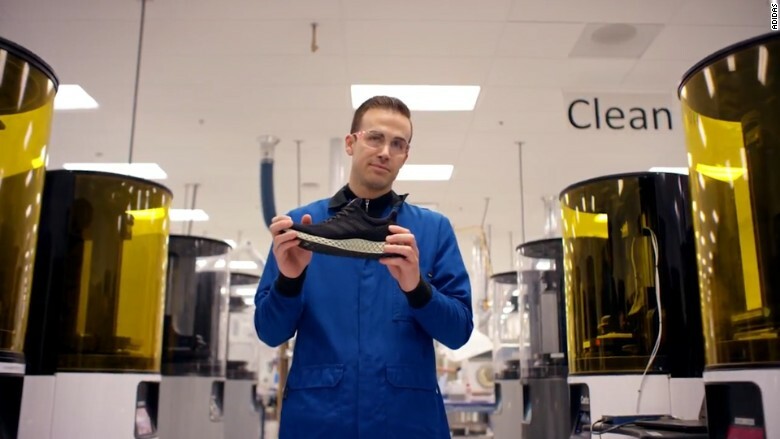 Adidas (ADDDF) partnered with Silicon Valley-based startup Carbon to create the shoe, which uses a new technology called digital light synthesis. 3D printed materials are often rigid or malleable and wouldn't work well for a shoe. But with Carbon's technology, the material is springy and able to bounce back almost instantaneously. The technology works by using UV lasers to project a pattern for a midsole liquid. The light turns the liquid into a solid and the result is a flexible, but durable, midsole. The technology could save time and money in the production process and will allow for greater customization. "We can produce ... up to 100 times faster than other 3D printing and additive manufacturing processes," an Adidas spokesperson told CNNTech. Eventually, Adidas plans to use the technology to customize shoes for individual consumers. "In the long run, we will be able to provide each athlete with bespoke performance products tailored to their individual physiological data and needs on demand," the spokesperson said.